This tecnique invloves the use of a specific manual thrust administered to a malfunctioning joint complex. Motion palpation, where the movements of the spinal joints are assessed as you turn and bend, is used to identify which areas of the spine are not functioning properly. This theraputic modality creates sound waves that pass through the skin, causing a vibration of the local tissues. It may help with tissue relaxation, reduction of inflammation, and the breakdown of scar tisse. It cannot be performed if you have a pacemaker, over metal implants, or in areas of local acute infection or malignancy. A trigger point is a palpable nodule or taut band buried deep in the muscle. It is often tender or painful, and can cause referred pain to other areas. Applying firm, steady pressure to a trigger point helps to break down the nodule, allowing the body to flush out the accumulated toxins. Fascia is a fibrous connective tissue surrounding muscles, bones, nerves and blood vessels. It protects these structures, and helps them to slide over one another. Fascia can become tight and restricted as a result of trauma or inflammation. Myofascial release involves gentle stretching of these tightened areas to restore proper motion and break down adhesions that may have formed. 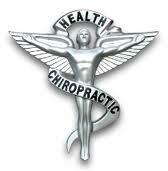 Chiropractic care can also be beneficial to areas of the body other than the spine. Conditions such as carpal tunnel, TMJ dysfunction and tennis elbow (just to name a few) can be improved by restoring joints and muscles to their optimal function.